Which Softhands Should You Choose? so you save money through better bale handling. 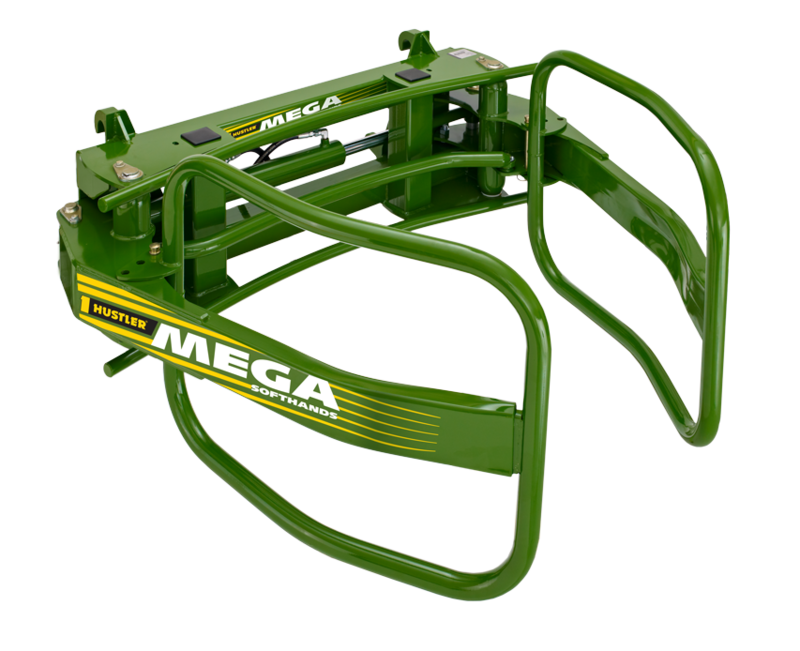 Designed with no tear-points so you can handle bales without damaging the bale wrap of both the bale you're handling and adjacent bales. The unique hand shape reduces deformation and inclusion of air pockets in the fermentation process. 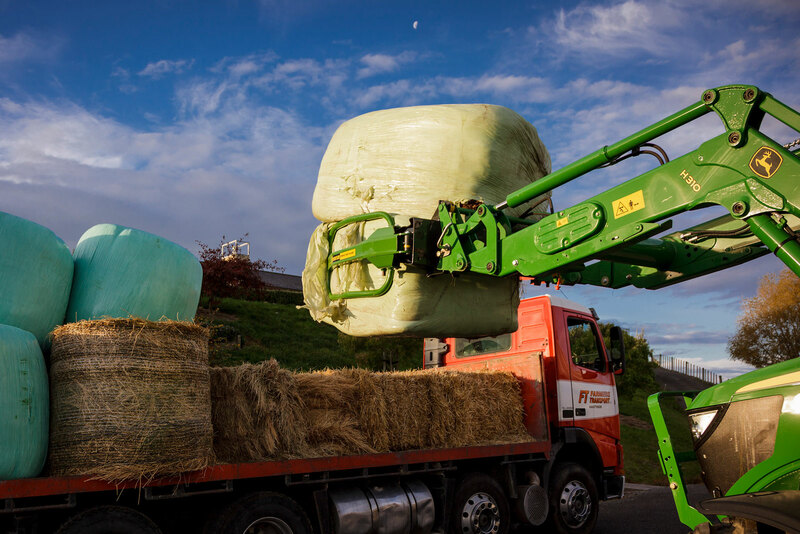 Our patented floating equaliser keeps the hands moving simultaneously which makes handling bales safer and easier, whilst giving the operator more control. It also allows the operator to compress bales in either direction without leaving the cab when loading trailers, making for safer loads. One of the most important design features you need when handling bales is a design that does not rip bales. Whilst that sounds like an obvious statement, not all bale handlers are created equal, and there are very few designs on the market that don't rip or tear the wrapping! The choice is yours, select the best tool for the job. No bale grab handles round bales better than Hustler's CXR Softhands! The latest Softhands® developed, tested and manufactured in New Zealand by Hustler Equipment. Built specifically for New Zealand farmers for round bale handling, the CXR carries Hustler’s extended warranty for added peace of mind. 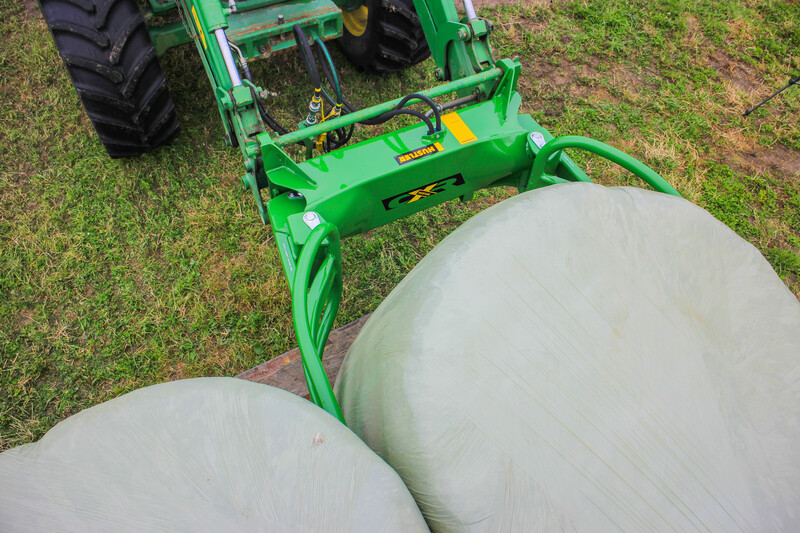 When you've got both round or square bales, nothing compares with the Compact Softhands. 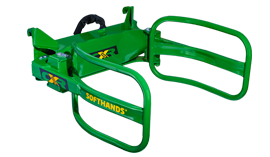 For farmers handling thousands of bales a year, Compact Softhands® is a robust, dependable bale handler designed for use with smaller tractors. 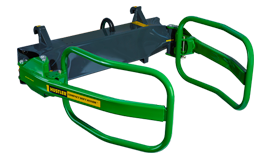 They will handle virtually any size of round or square bale and feature Hustler’s slim profile adjustable hands. When you simply cannot compromise anything, choose Mega Softhands. 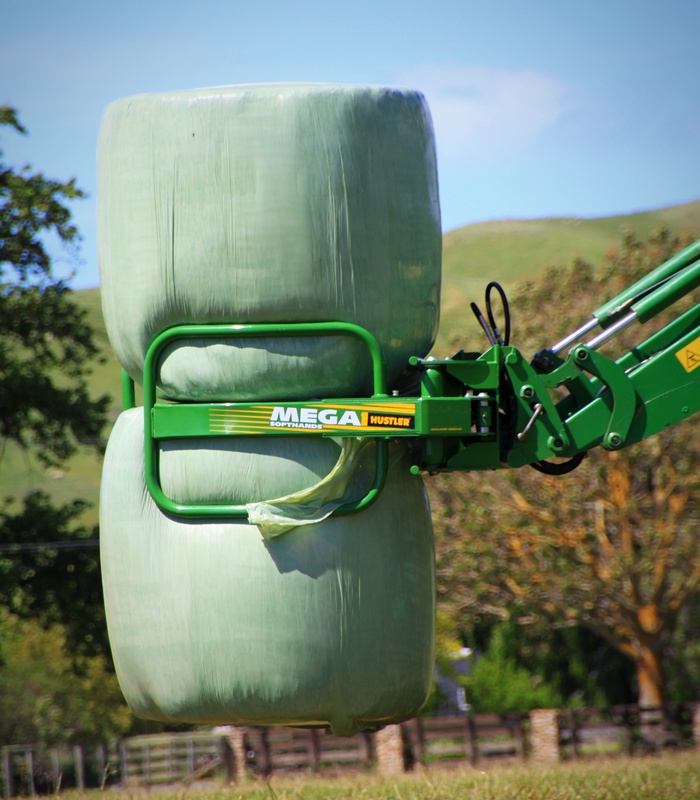 Built for the serious contractor or large scale farmer, the versatile Mega Softhands® handles both round and square bales. Capable of handling hundreds of thousands of bales each year. Bigger, taller hands provide more grip on the bale reducing damage when compared with smaller models. 50mm's of Hand Float Once Released Proves The Ultimate in Safety, Precision and Control. Slide between bales easier without disturbing or tearing adjacent bales, and without side loading your front loader. Perfect for loading/unloading trucks, barns or stacks. Whilst retaining enough power and travel to compress the bales for the tighest loads once stacked. Optional extra on some models. Ask us about the Special deals on now! or Call +646 879 7926 to order or for details on these ripper deals!